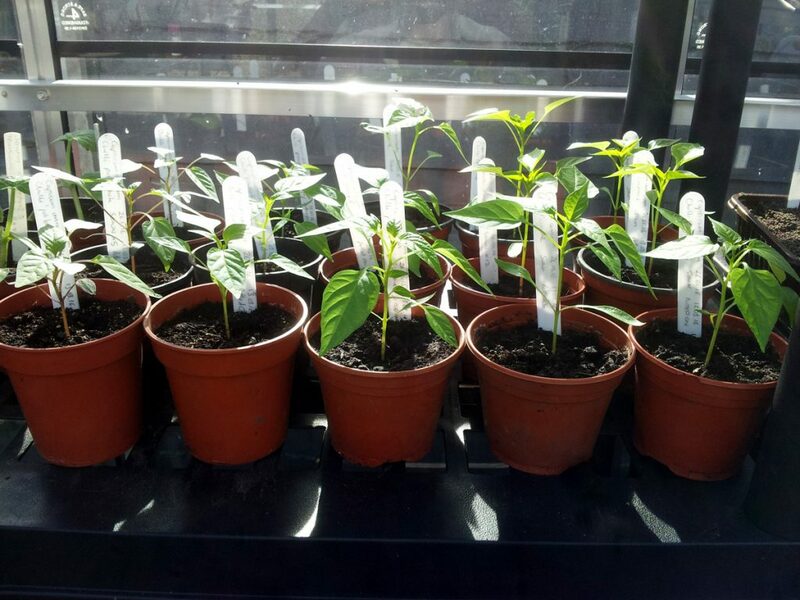 I’m very happy with the size of the plants at the moment: a few good sets of leaves, strong root development and the main stems are starting to thicken up nicely. Another few weeks and they’ll need staking, and another few after that they’ll be ready for pinching off and planting out into their final positions. I’ll be topping them up with a nitrogen-rich liquid feed every so often in the meantime to keep those stems and leaves healthy.